TENNESSEE'S LARGEST STATE PARK IS UNIQUE, FRAGILE AND POPULAR. ​IT'S BEING LOVED TO DEATH, AND IT CAN'T REALLY FEND FOR ITSELF. The mission of the Friends of South Cumberland State Park is to aid and assist the park management and staff in meeting its objectives and to inform, educate, engage, and inspire its members and the public to protect, conserve, and enjoy all the resources of the park. 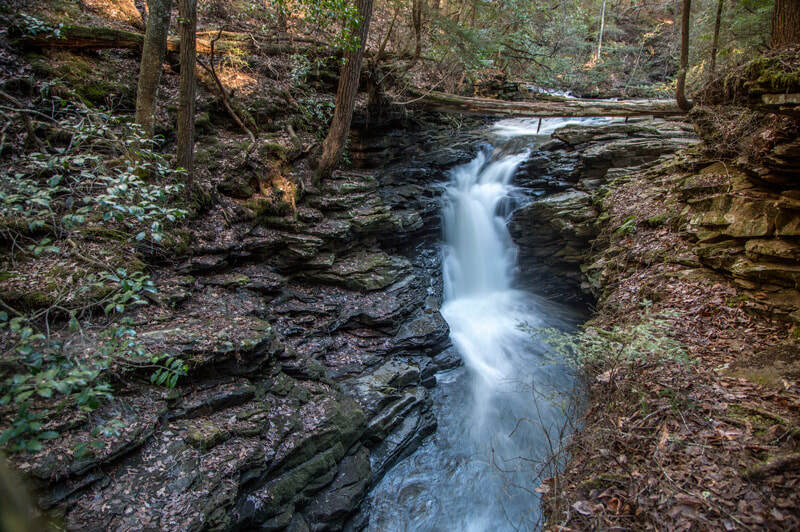 The Friends of South Cumberland State Park have partnered with park management, the Tennessee Department of Environment and Conservation, and other like-minded environmental organizations to protect over 7,000 acres of additional land on the South Cumberland Plateau in the past 24 months alone. These additions have now made South Cumberland the largest state park in Tennessee. Although this is great news, more land, and more visitors, creates new and urgent unmet needs for the park, both in terms of making the new areas safely accessible to the public, and in terms of maintaining existing areas of the park which require rehabilitation due to increased visitation. New trails must be built, and existing trails must be maintained or upgraded in order to provide an enjoyable and safe experience for all park visitors. New or expanded parking areas, picnic and restroom facilities, interpretive and directional signage are needed. Invasive pests, like the Hemlock Wooly Adelgid, and invasive plants must be controlled. Guided hikes, seminars and historical re-enactments, including programs for area school children, must be prepared and delivered. And, the work of conserving additional environmentally-significant lands is far from complete. The Friends of South Cumberland, a 501(c)(3) nonprofit organization, is responding to these needs, in large part, with proceeds from the Goldenrod Gala event. The Goldenrod Gala provides caring individuals and sponsors with an exceptional evening event, offering them a unique opportunity to bequeath a beautiful, timeless gift – the gift of Nature – to our friends, families, communities, and to future generations.